partner no matter if you’re exploring shipwrecks or admiring the colorful marine life. Suunto EON Core is ready out-of-the-box, but you can modify the features as you like to fit your own needs with the Suunto CustomDisplay. Choose from different view styles and select the dive details you want to see. 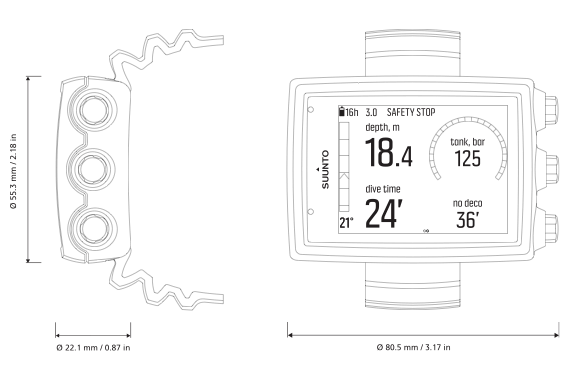 Updatable software makes Suunto EON Core a loyal diving partner for years to come.